I've been wanting to share my "Notebook" for some time. Here are some photos of my coupon notebook. 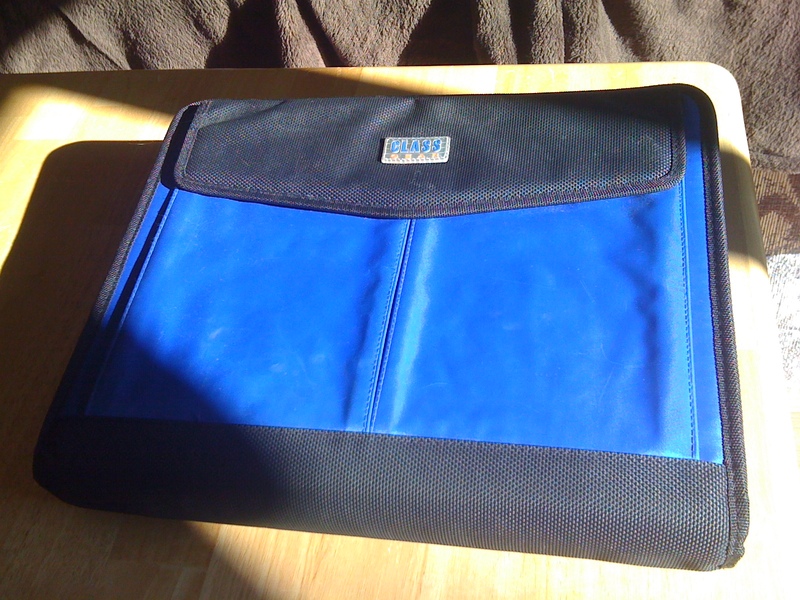 I purchased this regular binder at a back to school sales. (Otherwise this one is rather expensive.) I'm sure one could find this at a Thrift store or the like if you keep on the lookout for it. 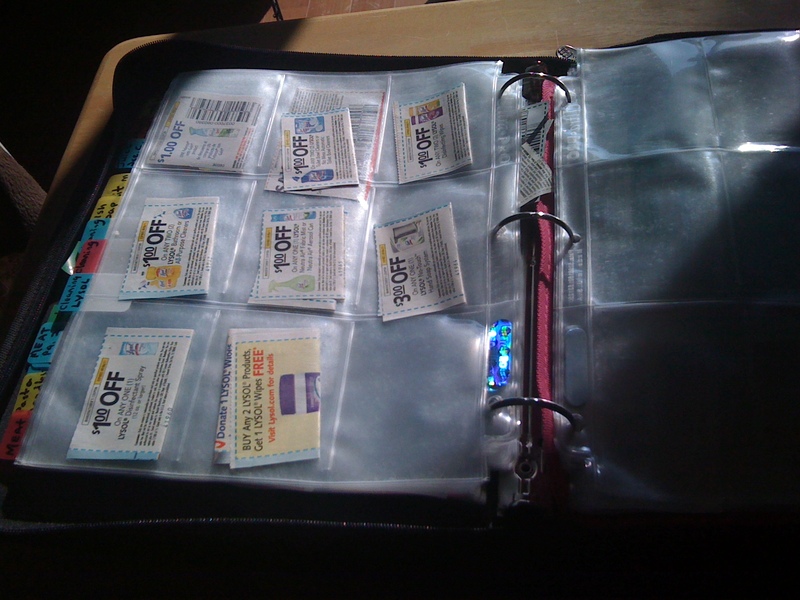 The coupon pages are baseball card holders that I've only been able to find at Target (near the check out lanes). Again, look for stores that sell these at a good price or it may cost more than it's worth. I get Smart Source and Red Plum booklets every week from the Sunday paper. And yes, I've gone dumpster hunting for discards although there are much better ways to get extra free Sunday coupons if you use your imagination. Nursing homes toss the inserts. Gas stations toss their papers at midnight. Even your Sunday carrier has extras if you want to get up early and discuss a win-win proposal. 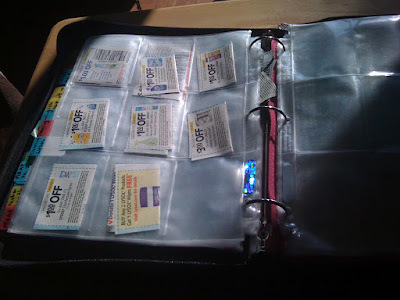 Each week I cut out the coupons from Red Plum and Smart Source Sunday and store them in my notebook according ot the labels I've glued to the pages. I keep this notebook in the car and if I find unexpected, unadvertised, sales, I'm prepared. 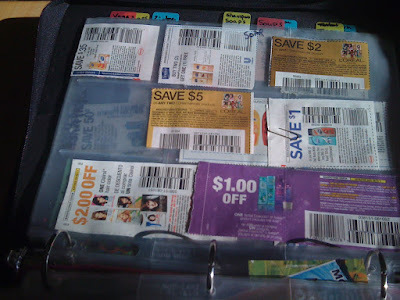 Others couponers don't cut out the coupons until they go shopping, and then they take coupons for what is advertised. It's less time consuming. I've added a 'pencil holder' to the front for odds and ends. I printed up some business cards with my website on it for women who ask me about couponing as I'm shopping. Take a few minutes each week to discard the expired. I've sent mine to military bases as they can use expired coupons. Google for military addresses for expired coupons. I always take this with me because some of my best deals have been UNADVERTISED sales. Combined with coupons, I often get items for FREE. I also plan ahead for the sales of the week and make a list of good deals. I'm ALWAYS prepared for GOOD DEALS AND FREE MEALS. 1. Look for coupon booklets in your Sunday paper titled Red Plum and Smart Source. Keep these! 2. Also, follow links that I post here for a list of coupons that will be in the Sunday paper AND how they match up with local store sales. 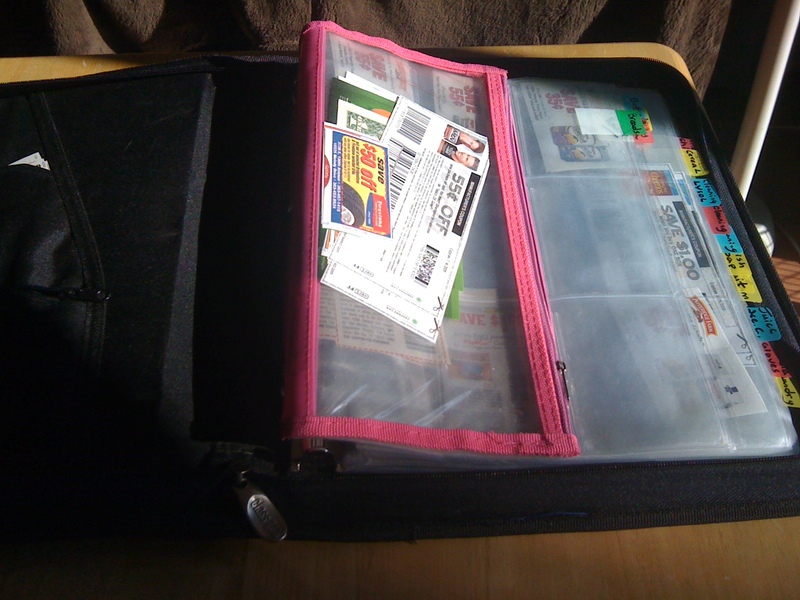 I especially use the information for free goods at Walgreens, CVS, Walmart, and Target. Also the local grocery stores. In Denver, a great coupon website is http://www.denvermetromoms.com/ (click on the link). 3. 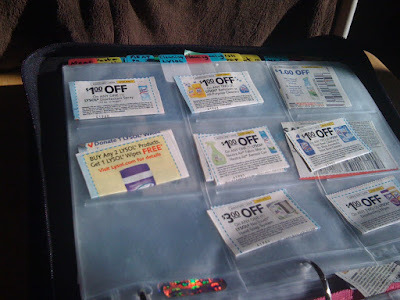 Regular couponers often order specific coupons from coupon websites like http://www.couponsthingsbydede.com/ The coupons are free, but they charge a few cents for shipping. I like to order extra coupons for cat food, laundry detergent, or toilet paper, so I can get these for free (or almost free) when they are on sale. 4. Once you have extra coupons for items that you want, it's best to use them when your store has that item on sale. To do that, it's important to get the weekly sale fliers for those stores. Or, there are websites that list the local weekly sales too. 5. A great coupon link for the Denver area is http://www.denvermetromoms.com/ . 6. Please email me if any questions. My email address is bestnurse@usa.com. Subscribe as a Follower to get my postings in your e-mail. Published author, Dusty Angels and Old Diaries. Walt Disney said, “It’s kind of fun to do the impossible.” I’ve done what many have said would be impossible, but only because I believed it was possible! Along the way, two sons blessed my life, and two husbands changed my life. Nursing brought fulfillment. Writing filled an emptiness. Photography added beauty. The piano instilled peace. Poetry found creativity and relativity. My family brings completeness. My hubby believes in me and the universe. The universe says it all. Becentsable - Find your state and store!